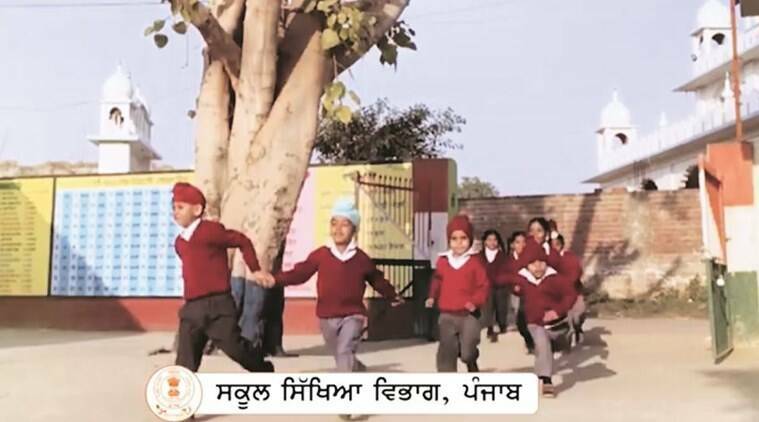 A screen grab of the video theme song in Punjabi for state’s learning enhancement programme that will be released soon. A 30-second teaser of the project, at an estimated cost of Rs 6.5 to 7 lakh, was released recently on social media by the department of education. The teaser shows singer Manpreet singing, playing a guitar, and students in government schools studying in well-furnished classrooms and well-equipped laboratories.